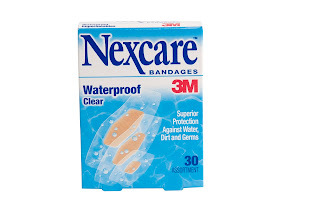 Personal Care: Nexus Bandage Products For Everything! Cuts and scrapes happen when you are a kid, it's all part of growing up. As a parent, its up to us to make sure we have the tools on hand to care for those cuts and scrapes, times that require some extra TLC. Having an emergency kit is a necessity in the summer but also important all year round, accidents can happen anytime and anywhere especially with active kids. 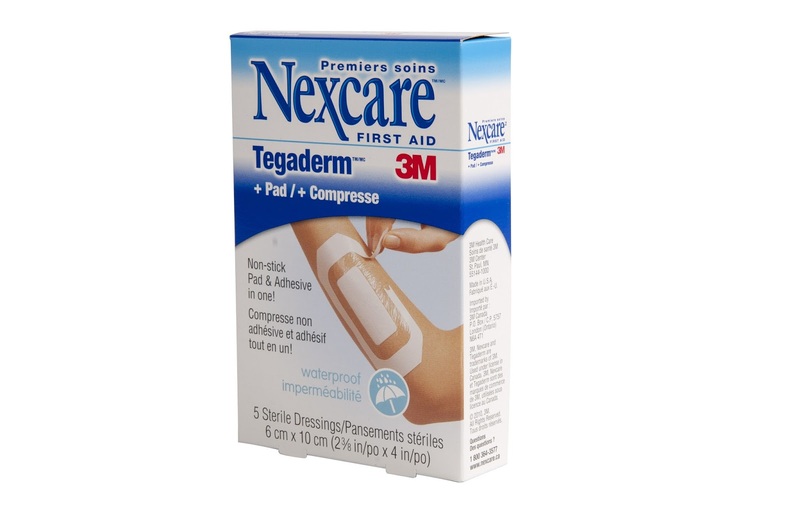 Nexcare is a family trusted brand that thrives on creating quality first aid supplies for everyone's needs. Summer is almost over but that doesn’t mean that activities are! From playing outside to playing sports, kids stay active all year long, Nexcare is there. 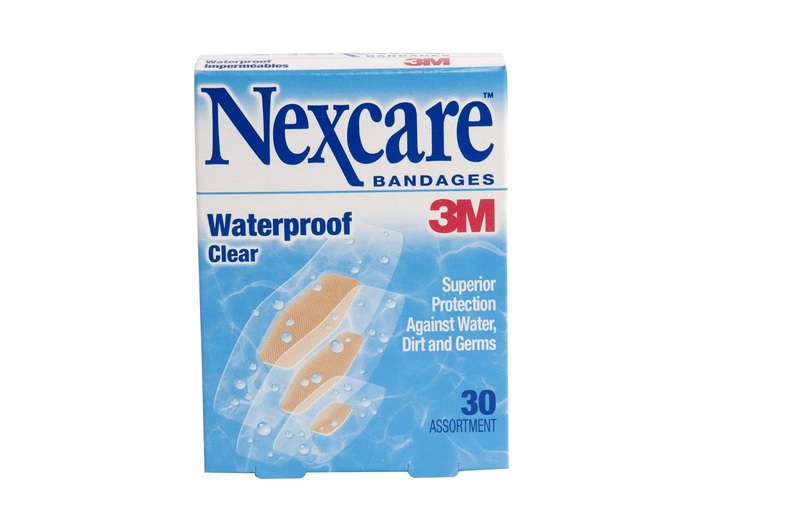 Active kids mean scrapes and skinned knees, keep them going with Nexcare No-Sting Liquid Bandage. This unique, breathable and waterproof bandage keeps dirt and germs out of minor cuts and scrapes – just spray it on and go! Its ideal for larger scrapes and abrasions that are difficult to cover with traditional bandages and the no-sting formula makes application easier for younger ones. Don’t let minor cuts and scrapes keep you down, Tegaderm +Pad Transparent Film Dressing and Nexcare Waterproof Bandages move with the body for greater comfort and more action. Nexcare helps heal the active family. 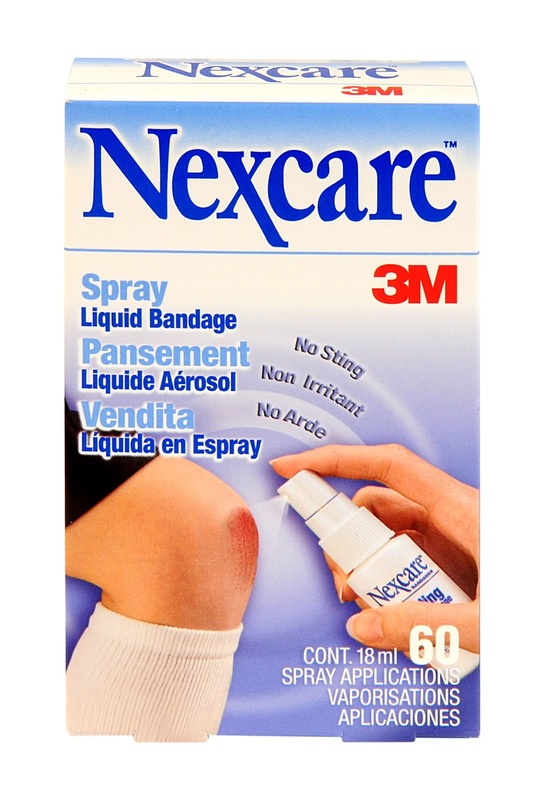 You can find a variety of Nexcare products in stores across Canada such as Wal-Mart, Shoppers Drug Mart, London Drugs, Sobeys, Loblaw and Rexall for about $4-$12 (MSRP). For more information about these and other Nexcare products please visit www.nexcare.ca! Follow @Nexcare on Twitter and Like Nexcare on Facebook for the latest updates! GIVEAWAY ENDED - CONGRATS TO THE WINNER! My first aid kit has band-aid's as well as medical tape/gauze pads/sterile wipes/antibiotic cream & spray.. as well as other items like cotton balls. Lots of bandaids and polysporin. Bandaids of various sizes, a tensor wrap, rubbing alcohol and hydrogen peroxide. Bandages, rubbing alcohol and antihistamines. i keep some polysporin, bandages, alcohol wipes and scissors! We actually don't have one at the moment. We should have one though and put some medicine in. I always have polysporin, bandaids, gauze, tape and wipes in my kit. Band-aids, benadryl, pain killers, wipes, tape, scissors, tensor bandage & gauze. I carry band-aids, aloe vera, gauze and scissors. I carry band-aids of varying sizes, polysporin, gauze, medical tape, Advil, a thermometre, scissors, Benadryl, and scissors. To be honest, I buy my first aid kit prefilled with all the necessities, because if it were up to me, I'd forget something crucial. I put bandaids, ointment, polysporin, hydrogen peroxide, cotton pads, medical tape, gauze, tylenol, tweezers and scissors. I have burn spray, bandaids, peroxide, iodine, scissors, bandaids, gauze, tape, tweezers, polyspoiron, liquid bandaid, antiseptic wipes, sterile gloves. I have various bandages, gauze, hand sanitizer, kleenex, money, scissors, gloves, anitiseptic wipe, tape. I just updated my first aid kit this summer. It has bandages, gauze, tape, wipes, scissors, polysporin, bandaids, tweezers, etc. We have instant ice packs, bandages, antiseptic, scissors, tweezers and water. I have band aids, polysporin, tensor bandage and aspirin in my first aid kit! I put in band aids, Ozonol, Adhesive tape, Sterile gauze pads. Band-aids, polysporin, scissors and gauze. Bandages, Polysporin, gauze, tape and some Tylenol or Aspirin! My first aid kit has tylenol, a thermometer, band-aids and polysporin cream! My first aid kits are bought for the house for kids and I carry one in the car also have one a the camp. All have polyporin,peroxide $ band aids! I always have bandages, and wipes, and instant ice for my skateboarding kids twisted ankles etc. Plysporin, bandages, peroxide,Scissors & Gauze! Bandages, gauze, alcohol wipes & ointment. Band Aids, Polysporin, and anti bacterial wipes!